Gondola with a wooden ‘bath’ to take a swim away from prying eyes, 1865. Swimming costumes, 1865. 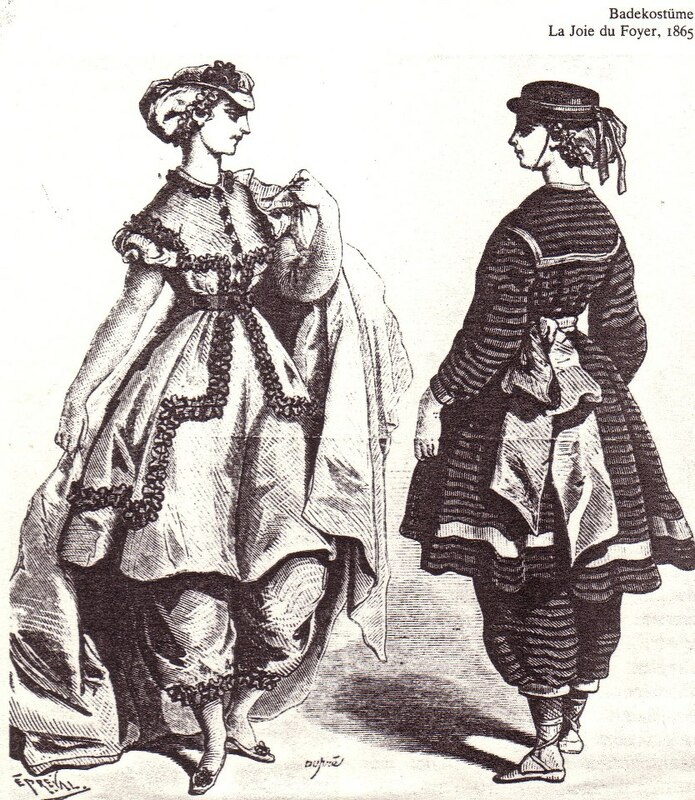 They are not Venetians but beach fashion in those years was quite the same in France and Italy. 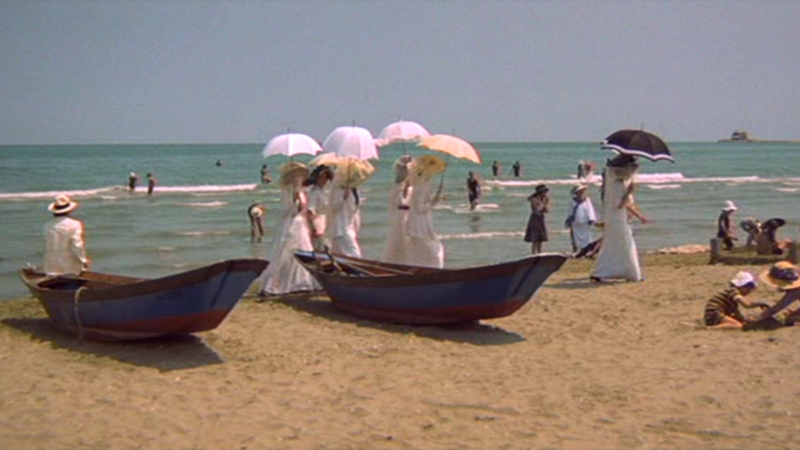 A scene from “Death in Venice”, 1970, by Luchino Visconti. Based on the novel of the German writer Thomas Mann, 1912. Wonderful reconstruction of the Belle Epoque spirit on the Lido beach of Venice. This entry was posted in News and Curiosities and tagged beach, fashion, lido, Venice by slow-venice. Bookmark the permalink.